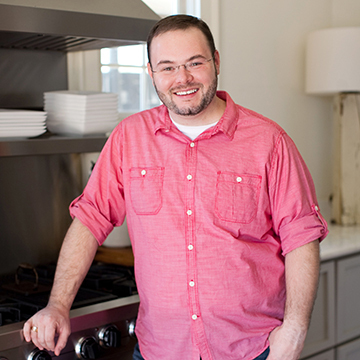 Here’s one of my favorite vegetables… the butter bean. 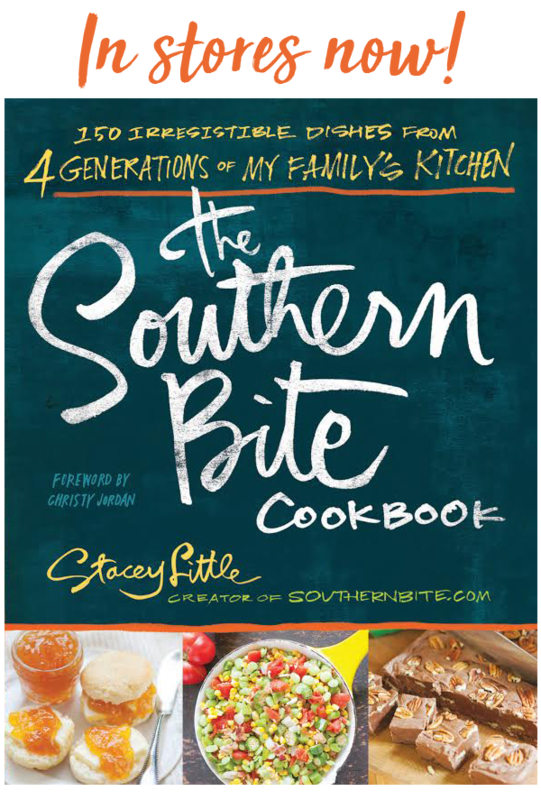 Apparently, classifying what is and isn’t a butter bean is about as controversial in the South as whether or not you put sugar in your cornbread – and there are some pretty strong opinions out there about that! For me, butter beans are the fresh variety of small white and green lima beans. 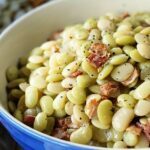 For many folks, the term “butter bean” refers to the large dried limas that are rehydrated and cooked. I call those dried limas. And anything of the green variety in between, I’ve always just called limas. The truth is, they’re all limas of some sort. 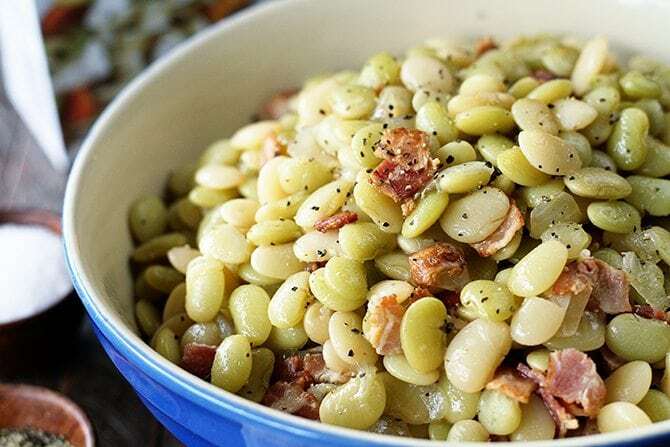 And the best part is this recipe works for just about all of those fresh or frozen limas – regardless of what you call them. As a kid, my grandfather grew them in the garden, but these days I grab them at the farmers market when they’re in season and frozen when they aren’t. And I find that frozen works just as well. I typically buy them labelled as butter beans, but baby limas is also a common term used to label them. 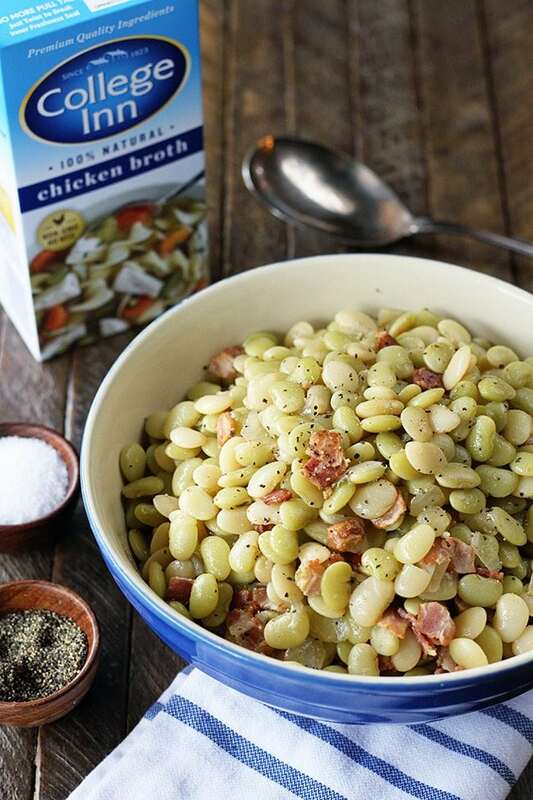 This cooking method combines the smoky flavor of bacon, savory taste of onion, and chicken broth – which gives it that extra boost of flavor. I’m always looking for easy ways to add flavor and cooking these beans in plain water would be a missed opportunity. 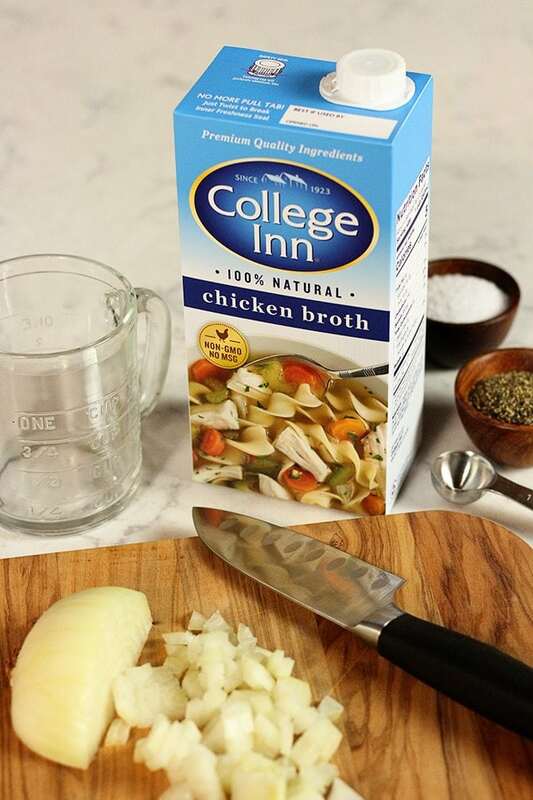 College Inn® Chicken Broth is slow simmered with just the perfect blend of herbs and spices so it adds amazing flavor to this dish. 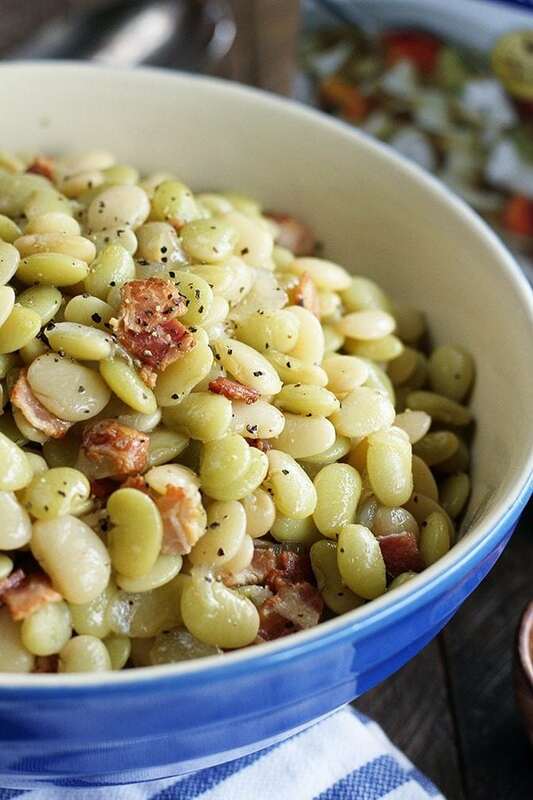 Whether on your table for a special occasion like Thanksgiving or a typical Sunday supper, these Southern Butter Beans with Bacon will be a star for sure! In a large Dutch oven over medium heat, cook the bacon until crispy. Drain away all but about 2 tablespoons of the bacon grease, then return the pan to the heat. Add the chopped onion, and cook in the bacon grease until the onion is translucent, about 7 to 8 minutes. Add the beans, broth, salt, and pepper. Bring the broth to a boil, and then reduce the heat to a simmer and cook about 45 to 60 minutes or until tender.